FEE: $175 for two days, $100 for one day with preregistration, $125 per day at the door. 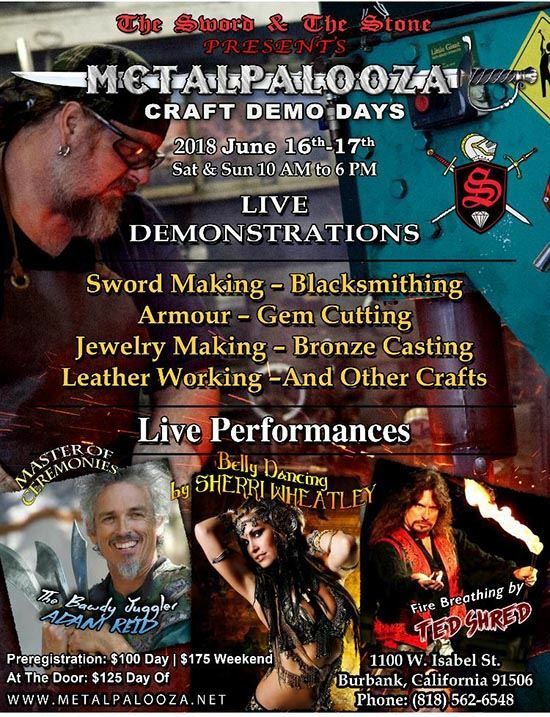 METALPALOOZA is One of a Kind Craft Event, a gathering of talent you not see anywhere else. Hosted by Tony Swatton. Headining Artists include: Scott Empey, K C Lund, John Williams, Doug Pryor, Atticus Keesling.